Due to the remoteness of the tour, if you do not select the lunch upgrade you will need to bring your own packed lunch. 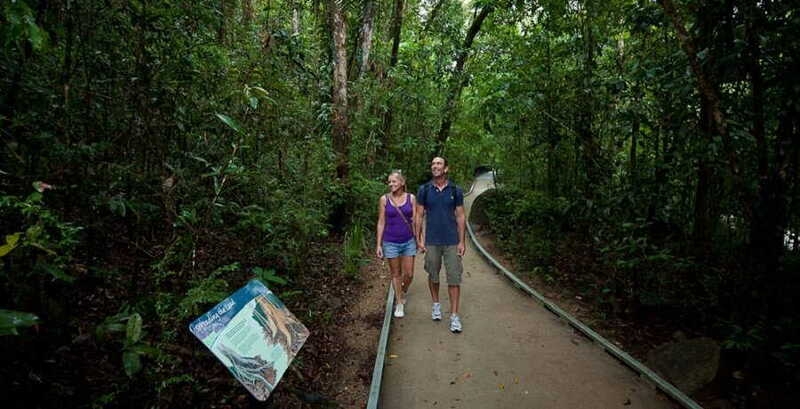 This 1 Day Daintree and Cape Tribulation Tour is one of Tropical Queensland’s most popular tours. On the spectacular Cape Tribulation Tour experience breathtaking tropical rainforests, ancient plant life, a crocodile spotting River Cruise, unique wildlife and the spectacular Cape Tribulation. Leaving Cairns we head straight into the Daintree National Park to meet our 1 hour guided crocodile and wildlife spotting river cruise. Fully guided by a local biologist and run by an Eco Accredited River Cruise Company, you will be provided expert knowledge of the region and the local wildlife. The river is teaming with wildlife so be on the lookout for Salt Water Crocodiles, reptiles, pythons, butterflies and native birds. 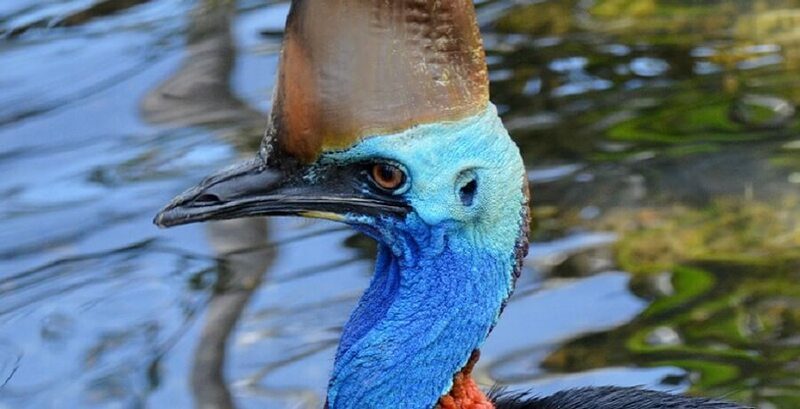 Once you’re back on dry land we head deeper in to the Daintree Rainforest, the further we go the denser the tropical jungle becomes and your guide will point out significant features along the way, including the rare and endangered Cassowary. We head to Marrdja Boardwalk for a guided rainforest walk. This 1 hour walk will keep you captivated from start to finish as you experience the wonder of this unusual and ancient plant and tree life set above the crystal clear water of meandering streams. We then head to Cape Tribulation where you will be treated to a delicious picnic lunch (additional $17 per person). 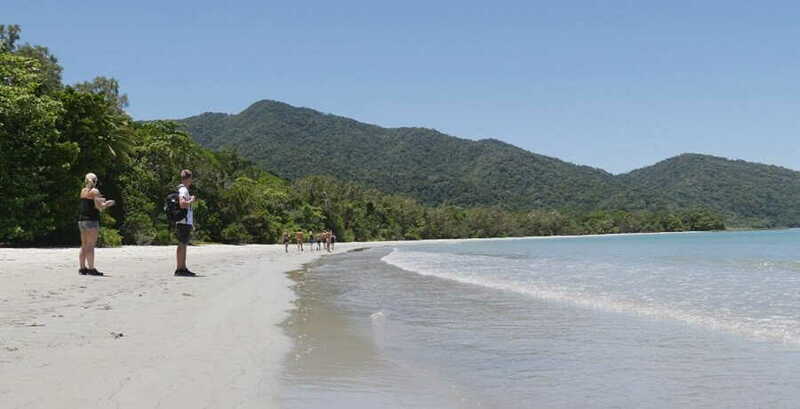 After lunch you will have time to explore the Cape Tribulation Beach and surrounds. From Cape Tribulation it’s onto the top of the Alexandra Range for amazing views of the Daintree Rainforest, Coastal Hinterland and Daintree River. It is then off to explore Mossman Gorge and have some and afternoon tea. Heading back to Cairns we drive through the quaint fishing village of Port Douglas and check out the views of Trinity Bay, Coral Bay and the Great Barrier Reef from Rex Lookout. 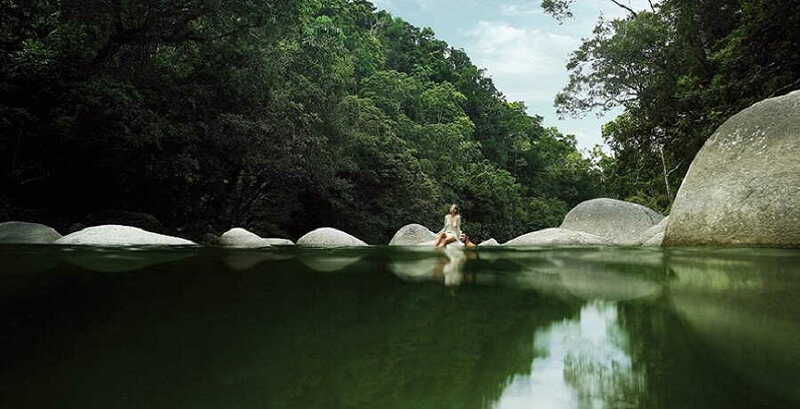 This is the best value 1 Day Daintree and Cape Tribulation Tour on offer! Planning on exploring the Great Barrier Reef as well? Check out the Cairns Tours Package to join the Great Barrier Reef Tour and 1 Day Cape Tribulation & Daintree Tour with Mossman Gorge for $250. 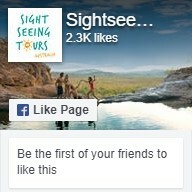 Why not check out our other Daintree Rainforest Tours?